Bagert plans to continue with Together Louisiana, splitting his time between New Orleans, where he will help grow the IAF’s Together New Orleans chapter, and the northern part of the state, where he will work with chapters in Monroe, Shreveport, Alexandria and the Mississippi Delta. During his nearly decade-long tenure with TBR, Bagert grew the organization to more than 40 members—mostly churches and some special interest groups. 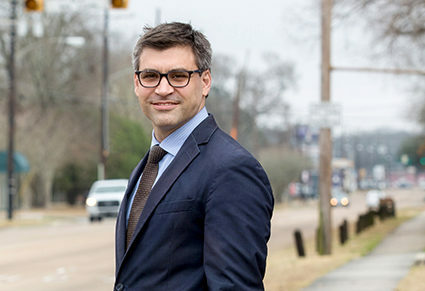 Along the way, he helped secure victories for which the organization was able to claim at least partial credit, including passage of a dedicated tax to fund the Capital Area Transit System; increased awareness about issues like food deserts in north Baton Rouge; lack of health care access in underserved neighborhoods; and opposition to the St. George incorporation effort. But when the group took on the state’s ITEP in 2016, spearheading efforts that ultimately led to statewide reforms, he alienated many in the business community who had previously supported him and TBR’s causes. That fallout continues. As recently as Monday, the prominent First United Methodist Church withdrew its membership from TBR, delivering a serious blow to the organization’s credibility. Bagert acknowledges he has made some people mad, but maintains that has nothing to do with why he is no longer in Baton Rouge.